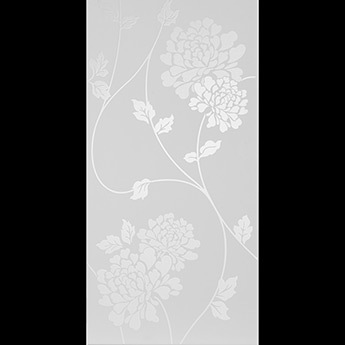 These white ceramic tiles from the Laura Ashley collection feature a subtle floral pattern and provide interiors with an elegant look. 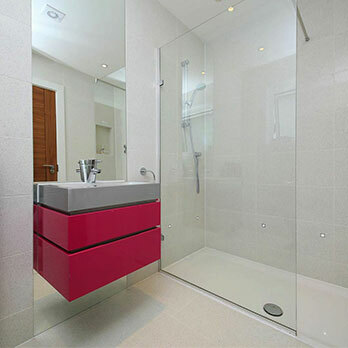 These rectangular polished tiles are highly versatile and are equally well suited to either a bathroom or kitchen décor. 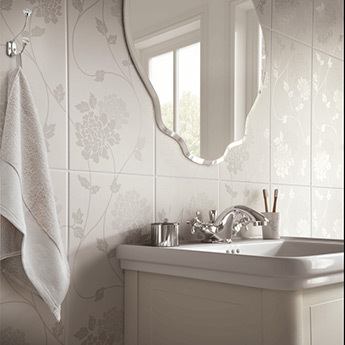 The decorative style and sleek surface makes these white ceramic wall tiles an excellent splashback option. 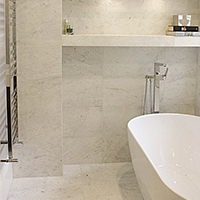 In bathrooms these tiles can be used as part of a shower wall surround or above a bathtub as part of a trendy feature. 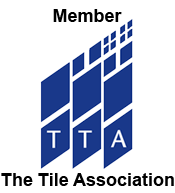 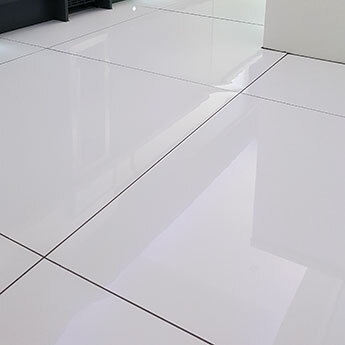 In addition to its stylish appearance this tile is also easy to clean and maintain. 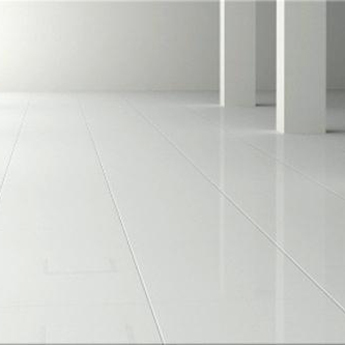 You can order a sample of these premium quality white wall tiles. 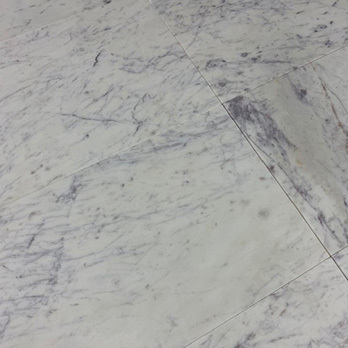 Taking a look at a sample will enable you to see how these tiles look as part of your interior layout.